—› What does the media write about natural juices? According to research conducted by Canadian scientists, drinking apple juice is very healthy. Apple juice contains plenty of anti-virus components, vitamins and cellulose. It is not only healthy but also delicious. Drunk every day, it may have a beneficial effect on our looks. 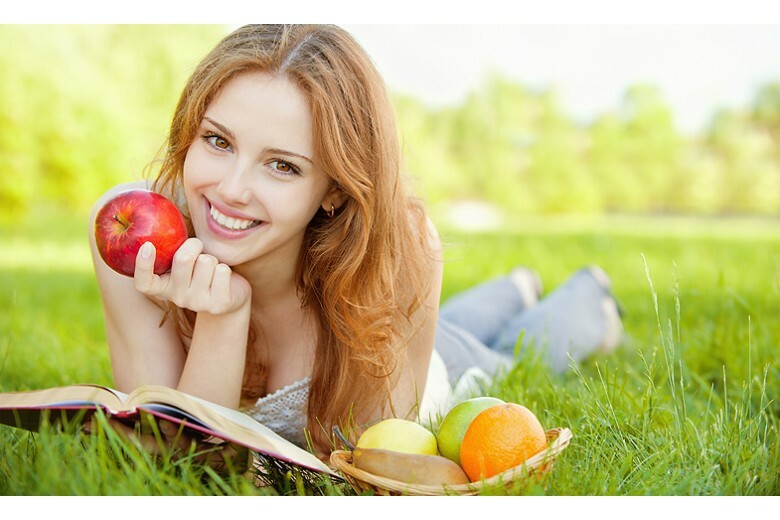 Our grandmothers and mothers used to say that eating apples is beneficial for our health. One of English proverbs says : “One apple a day keeps the doctor away”. Apples are tasty and nutritious. In Poland, they are very popular in apple pies. However, they are the best for us when serves as apple juice. Grapefruit juice and dark grape juice is also good for us, but these are apples that are considered the healthiest. Apples contain a lot of vitamin C, minerals and pectin. They also contain quercetin, which detoxifies our body by fixing heavy metals. Pectin helps to protect against cardiac arrest and sclerosis, since they lower the amount of cholesterol absorbed in our body. Vitamin C reinforces our immunity system. The most vitamin C is found in small, sour apples. They contain potassium, thanks to which they regulate the water balance in our body, and thanks to the contents of iron, apples prevent anemia. Of course, the nutrition value of apples depends on their variety. When it comes to our appearance, the vitamin C occurring in apples clears our bodies of free radicals and prevents our skin from getting slack. Together with vitamin P, it protects our skin against the formation of telangiectasias. We should remember that not all apple juice types are the same. The most nutrients occur in juice that underwent the least processing. Therefore, it is important to read what the packaging says. Apple beverages and apple juice concentrates will probably not be beneficial to our health, particularly the cheapest ones. We will find the most valuable components in fresh apple juice, preferably from organic farms. 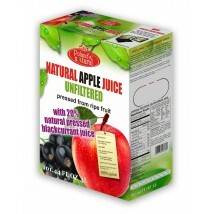 It is important for the juice not to be clarified (more unfiltered), not to contain any sugar or preservatives. An apple contains plenty of fructose, hence an addition of sugar in a healthy juice is totally redundant. Making apple juice with the use of a juicer is very simple. You don’t have to worry that you will find any ingredients you don’t want to in it. A home-made apple juice is the healthiest and the cheapest of all. You don’t need anything apart from apples and a small amount of water. Unfiltered apple juice prevents cancer and stops ageing, plus supports our natural immunity – announced scientists from the Wrocław University of Environmental and Life Sciences. No clear apple juice can advertise such properties. The results of an all-Poland experiment were published in the January issue of “Chemistry and Industry”. The originator and main author of research is Prof. Jan Oszmiański, the Head of the Faculty of Fruit, Vegetable and Crop Technology at the Wrocław University of Environmental and Life Sciences. He discovered that unfiltered apple juice contains four times more wholesome compounds from the plyphenol group (mainly flavonoids) which prove to be anti-cancer, anti-ageing and anti-allergic. Flavonoids are organic compounds which occur in many plant organisms. They serve as dyes and antioxidants, plus they protect plants against numerous diseases, the impact of sun rays, against fungi or insects. They were discovered, for instance, in dark chocolate, red wine, olive oil, green tea, tomatoes, broccoli, pepper, lettuce, buckwheat, salt and citruses. In humans, flavonoids prove to have anti-cancer values. They block the formation of carcinogenic factors, they lower the risk of breast cancer and block the development of lung cancer. They are considered to be the best anti-oxidants. What they do in our bodies is that they “wipe out” all free radicals, thanks to which our skin ages slowly, which makes them anti-inflammatory, anti-allergic. Moreover, flavonoids absorb harmful UVA and UVB rays. Wroclaw scientists compared two types of apple juice – ordinary, clear apple juice and apple nectar with high pulp contents – with regards to the contents of polyphenols and anti-oxidation value. It turned out that the unfiltered apple juice proved to be five times more effective in wiping free radicals. “This is why I claim that an adult should prophylactically drink one or two glasses of such juice every day” – concludes Prof. Oszmiański. For ages, it has been well known that eating fruit and vegetables as well as their preserves has beneficial effect on our health. Medical doctors and dieticians recommend that we eat them at least five times a day. Apples are probably the most popular fruit in Poland and in other European countries. However, few of us know that, thanks to the contents of biologically active compounds, apples prove to have anti-cancer, anti-ageing and anti-allergic qualities and prove to lower the level of cholesterol in our bodies (it fixes with cellulose). Research has shown that drinking 100g of apples every day lowers the risk of cardiac arrest in men by nearly 50%. Fruit and their preserves lower the risk of asthma, diabetes and obesity. Apples may be eaten fresh and processed. In Poland, approximately 50 percent of apple crops are processed into clear juice, apple juice concentrate and wine. Unfortunately, almost all valuable substances are lost in this process. Therefore, as Oszmiański explains, clear apple preserves are nearly completely devoid of pectin, vitamin C and over 90% of polyphenols, which results in them having a low anti-oxidation effect. An alternative to clear juice is unfiltered juice, which is produced without enzymatic treatment, without clarification and filtration, thanks to which they contain considerably more bioactive polyphenols. Various research has shown that drinking 700 ml of unfiltered apple juice raises the anti-oxidation potential of your body by 52 percent. However, unfiltered apple juice seems to be less popular than the clear one. 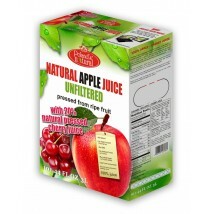 Customers choose clear apple juice mainly due to its nice color, lack of sediments, and longer shelf life. “Their production is also a bit more expensive. It requires better, fully ripe apples, the addition of anti-oxidizing vitamin C and slightly different devices. This is why clear juice has dominated store shelves” – says Prof. Oszmiański. 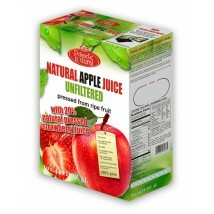 USA and Western Europe have actually been witnessing revival of unfiltered juices and beverages. In Germany – 20-25 percent, in Japan – even 80% of all apple preserves are naturally unfiltered juices. However, the only product that is available in Poland is the apple nectar containing 50 percent of fruit in the form of puree. “I think that the right publicity could change the attitude of customers. With their color and looks, unfiltered apple juice resemble citrus juices, which the customers are used to and which they seem to like and buy eagerly” – claims Oszmiański. “I think that we should have social campaigns, such as +Drink milk+ encouraging us to drink unfiltered apple juice. I hope that the consumers will soon appreciate the pro-health values of this beverage” – he adds. 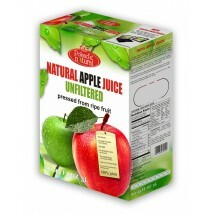 Unfiltered apple juice prevents cancer and stops ageing, plus supports our natural immunity. No clear apple juice can advertise such properties. Therefore, an adult should prophylactically drink one or two glasses of apple juice every day – the unfiltered apple juice, not the clear one. Wroclaw scientists compared two types of apple juice – ordinary, clear apple juice and apple nectar with high pulp contents. It turned out that the unfiltered apple juice proved to be five times more effective in wiping free radicals. – This is why I claim that an adult should prophylactically drink one or two glasses of such juice every day – concludes Prof. Oszmiański. Thanks to their naturally high contents of biologically active compounds, apples prove to have anti-cancer, anti-ageing and anti-allergic qualities and prove to lower the level of cholesterol in our bodies (it fixes with cellulose). Research has shown that drinking 100g of apples every day lowers the risk of cardiac arrest in men by nearly 50%. Apples and their preserves lower the risk of asthma, diabetes and obesity. An adult should drink a glass of unfiltered apple juice every day. Drinking 700 ml of unfiltered apple juice raises the anti-oxidation potential of your body by 52 percent. –Unfortunately, clear apple preserves are nearly completely devoid of pectin, vitamin C and over 90% of polyphenols, which results in them having a low anti-oxidation effect. An alternative to clear juice is unfiltered juice, which is produced without enzymatic treatment, without clarification and filtration, thanks to which they contain considerably more bioactive polyphenols. USAand Western Europe have been witnessing revival of unfiltered juices and beverages. In Germany – 20-25 percent, in Japan – even 80% of all apple preserves are naturally unfiltered juices.